Tony Tan Caktiong was a Filipino Chinese entrepreneur who set up a two-outlet ice cream parlor business in the city of Manila. It was 1975 when he began his business. His father used to operate a kitchen in Fujian,China, which was where Tony’s association with the food services business began. Eventhough his ice cream parlor business was doing well, Tony wanted to expand in the foods business – in the form of a fast-food outlet chain. He was inspired by the global popularity of companies like McDonald’s which was planning to enter the Philippines during that time, but Wendy’s and Burger King already had a presence in the Philippines. Tony was aware that Jollibee could not compete with McDonald’s which had financial muscle and decades of expertise in the business. But by establishing Jollibee in 1978, Tony pre-empted McDonald’s entry into the country. Jollibee’s strong focus on issues such as product development, operational excellence, customer service, marketing and promotion, and social responsibility, and the leadership helped it become the market leader in the Filipino fast-food industry, beating all the multinational companies. The company has globalization strategies and future prospects in the light of the new challenges it is facing in foreign markets. As years go by, the Jollibee group of companies grew bigger. Tony Tan Caktiong acquired and established a couple other food chains including Chowking, Red Ribbon, Greenwich, Delifrance and Mang Inasal. Aside from bringing Jollibee, Chowking, and Red Ribbon to other countries, they’ve also established new food chains in China and Taiwan which suit the tastes of the people there. i ADMIRE YOUR STORY.i AM ABIG FAN OF YOURS. jollibee is one of my favorite food chain.. when im hungry, jollibee comes first to my mind. hehehe.. my family tease me, that my face seems like a jollibee..wew..the best.. kep it up..
His story is indeed inspiring, there’s no doubt about it. But, how I wish fast food chains products are healthy. I think what will threaten the existing fast food chains is the gradual health consciousness of people. .,wat a vry nyz story..
we shud tolerate diz kind of person..
.,ghe, i hope i can be successful as u are!! hi ang sarap talagang kumain s jollibee.,.,.,.,.,.,.,. sarap ng spaghetti dyan yummy!!!! 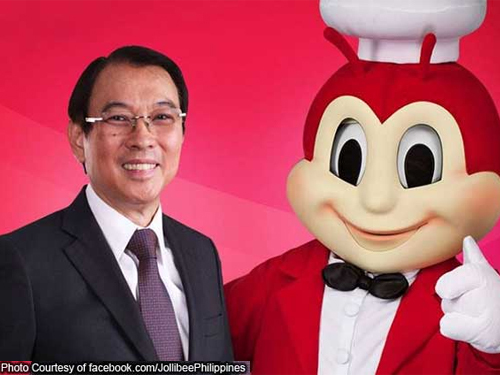 I have also written an article about Tony Tan Caktiong and his Jollibee success story. He is truly inspiring to everyone. HeLLoW Mga Ka ClaSsMaTeS D2 Na lng Kau Mag Research!